Cachapas are a sweet and savory (and gluten free!) corn pancake from Venezuela. Traditionally, they’re eaten with a bit of butter and melted cheese (just fold them in half and enjoy!). You can customize them however you want, of course. 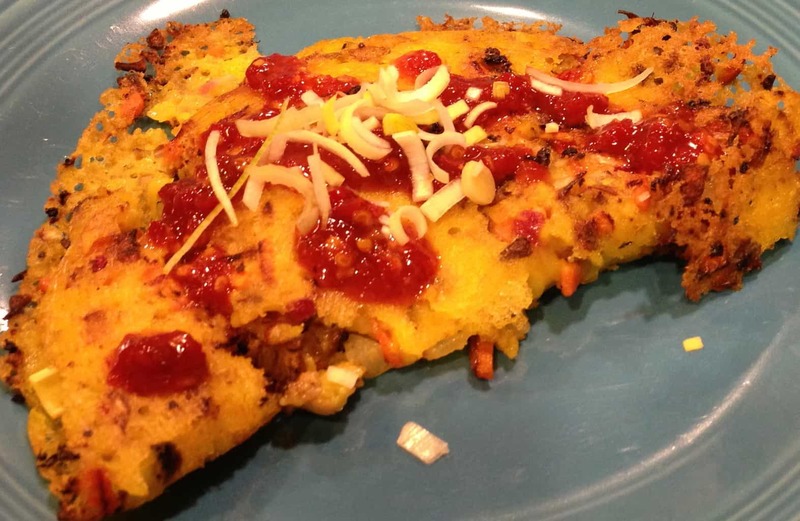 Pulled pork, roasted vegetables, chicken — all make great fillings for your naturally gluten-free corn pancake. Adjust the size of the pancake (and cooking time) accordingly. I like to serve mine with a simple salsa either directly over the melted cheese or as a dipping sauce on the side. 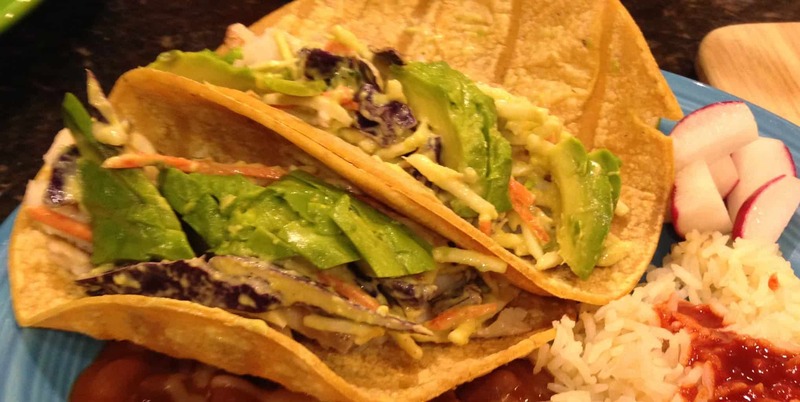 Last week, we talked about all sorts of taco fillings. But, as every taco connoisseur knows, it’s not just the filling, it’s the sauces and extras that punch up the flavor of tacos. Different types of fillings call for different types of sauces. I have a weakness for tacos. Beef, pork, chicken, vegetables, and, most especially, fish tacos. I used to think I was a burrito girl, but, eventually, I had to be honest with myself: tacos won my heart way back when I was too young to realize I had a heart to give to food. Back then, I was seduced by tacos from Taco Bell; it wasn’t long before I realized those were, pardon the pun, thin shells of tacos. Maybe Taco Bell’s recipes have improved since then, but I haven’t been back. Mostly because I’ve discovered tacos that make me crave them, time and again. When you’re gluten-free, chances are you can’t take advantage of take-out pizza anymore. Luckily, making pizza at home is fast and easy. Using a gluten-free pizza dough mix makes it even easier. Yes, if you’re so inclined, you can make your own GF mix, but I find having a stash of mix in the cupboard makes my life easier. Since going gluten-free, I don’t eat a lot of breads, so I don’t keep a lot of GF flours on hand. I rely on a well-stocked pantry for those days when I throw my menu aside and hope there’s something to eat in the house! Most recipes for pizza are pretty standard: crust topped with sauce, cheese, and meat and veggies. This recipe is a bit different in that in features a this layer of olive oil instead of heavier sauce. This light pizza is perfect in the summer — and if you want to grill it, go ahead. Just make sure your crust is about 1/3-inch thick, and make sure you watch carefully to prevent burning anything! I am very lucky: my local pizza joint features gluten-free pizza (and they take care to avoid cross-contamination). It’s pretty much the only GF option on the menu, so I’ve made it my mission to inject variety into my pizza experience. Sometimes, the husband joins in the craziness; sometimes, I’m free to experiment with flavors without worrying about his idea of appropriate pizza toppings! I know I’m doing something right: the staff at my place tell me they order my combinations for themselves…right down to the gluten-free crust. Truth is, the husband and I were in a bit of a pizza rut before I went gluten-free. We’d found our combination and were loathe to change. Now I attack new flavors like they’re a hobby. Basil? Artichoke hearts (yes, please!)? Fresh ricotta? Sausage? Pesto? Olive oil with light toppings? And before you starting thinking I’m crazy, let me confess sometimes I head straight for the traditional pepperoni, tomato sauce, and cheese combo. Since I discovered the deliciousness of the America’s Test Kitchen Pizza crust — a labor intensive baking project that’s worth it! — we’ve been making pizza a couple times a month. The husband takes over after I’ve made the crust; he’s a former pizza chef and find my method of saucing to be, well, sub-par compared to the professionals. Here’s a sort of step-by-step I posted on Facebook that will give you a sense of how this recipe works. For more on gluten-free pizzas and some topping ideas, see below, and please share your favorite pizza ideas! What is your pizza secret? Pepperoni and Cheese — Nothing beats this old classic. Punch up a store-bought sauce with red pepper flakes and fresh herbs to add flavor. Artichoke Hearts, Fresh Garlic, and Basil — The first time I had artichoke hearts on a pizza was a revelation. My husband was skeptical, until he took that first bite. Now this is our go-to pizza combination. Pears, Blue Cheese, and Walnuts — Want to impress your friends with a great party dish? This vegetarian pizza also includes caramelized onions and a drizzle or two of balsamic vinegar. Briefly saute thinly sliced pears with the onions before spreading them on a thin pizza crust (go rectangular to mimic a flatbread). A bit of olive oil on a pre-baked crust, pop under the broiler for 10 to 12 minutes. Delicious! Pesto and Ricotta — The staff at my local pizza place go crazy when pizza with fresh ricotta is ordered. There’s a good reason: this creamy, light cheese is amazing on pizza. It melts just enough to be full of flavor, but not so much that it loses its shape. Add some diced pepperoni if you want a bit of meat. Sausage, Fresh Tomatoes, and Sage — I love sausage on pizza. I remove the casings and crumble it up. You can chop fresh tomatoes from the garden and top your pizza with that big summer flavor. Or take a bit of extra time and blister cherry or grape tomatoes cut in half under the broiler for a few minutes. This also dries them out a bit so you don’t get soggy pizza. As I mentioned, the ATK gluten-free pizza crust is labor intensive. I double the batch, and, after cooling, carefully wrap the extra crusts in plastic for using later. In fact, when I’m making pizza on the grill, I find I get better results with the frozen crust than the fresh. Bonus tip: The ATK recipe calls for almond flour, something I rarely have on hand. Since I almost always have blanched almonds in the cupboard, I make my own flour by grinding my own in an old coffee grinder I keep on hand for this purposes. One note: since I also use this machine for grinding all sorts of spices, I clean it carefully before adding the almonds to avoid weird flavors in my pizza dough! 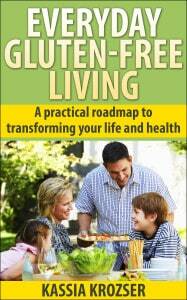 Author Kassia KrozserPosted on August 11, 2013 December 29, 2016 Categories OddballsLeave a comment on Gluten-Free Pizza Night! Let me say this: I am addicted to these pancakes. Completely, totally, wholly addicted. I could eat these every single day. And I would be happy. You can make these as easy as you want or as complicated as you want. I go for easy, meaning I use leftover meats instead of cooking them on the spot — this lets me make these quickly during the week. In addition to the rice flour and turmeric batter, the ingredients include various veggies cut/chopped/julienned into to small pieces, some meat (I often use leftover shrimp or meatballs), and some bean sprouts if you choose. Top with a spicy dipping sauce, and you are in heaven. Trust me. The trick to cooking these pancakes is to let them get very well-done on the edges. The undersides will be crispy, and the thin batter cooks all the way through quickly.